the sufi lineage Shadhdhuli (pronounced as Shadh-dhu-li) takes it name from its eponymous 'founder', saint of saints, Sidi 'Ali Abu-l-Hasan (born in Morocco, 1196), may God be pleased with him. the grand shaykh Abu-l-Hasan received his title, Shadhdhuli from God in a vision. In that state of lofty vision it was spoken from the Most Hight, "O 'Ali, you are ash-Shâdhdhu-lî, the one who is set apart (shâdhdhu) for Me (lî)". thus the meaning of the Shadhdhuli path (Shadhiliyya) is the path of the ones who is reserved for the Divine. The Tariqa Shadhiliyya is the way of the person who forgets all things and returns back to the truth as in the beginning; a child in the Presence of God. You cannot see more than Him or hear of any other place. You cannot speak without Him. You are with God, in God, to God in the origin of all things. You do not sleep, you are not tired, you watch everything. And so you meet your love to the end which has no end. Then you are together; you are one thing only, without borders, without above or below, without right or left. You are in this station and this station is in you: fana al-mutlaq (annihilation in the freedom of God); the start which has no start; the end which has no end. Shadhdhuli school of tasawuf is one of the major lineage which gave birth to a number of very influential philosophers, mystics, scholars and thinkers of all time including Ibn Ata Allah, Sheikh ibn Ajibah, Sidi ad-Darqawi, ibn Abbad of Ronda, Muhammad al-Jazuli, René Guénon etc. Ibn ‘Ata Allah was the first in the Shadhuli line to write sufi discourses and books. Included in his works is an account of the life and sayings of both ash-Shadhuli and al-Mursi. He also wrote the Miftah al-Falah, "The Key to Salvation", a manual on invocation and the Kitab al-Hikam, "The Book of Aphorisms". Abu-l-Hasan was born in the village of Ghumara in Morocco in 593/1196. His early education was by his mother, father and a local imam. Around puberty he went to study with Abu ‘Abdallah M. b. Harazim (d. 633/1236), who himself was a pupil of Abu Madyan, one of the great medieval Sufis. He went east in 615, where he was drawn to the Rifa‘i school, accepting Abu-l-Fath al-Wasiti as his shaykh in 618. While here he became obsessed with the search for the Qutb (Pole) of the time. Abu-l-Fath told him to return to the west where he would find him. He returned and eventually found the Qutb in ‘Abd as-Salam ibn Mashish of Fez who, after some trial, gave him bay‘ah, marking, as Abu-l-Hasan states, “the end of my beginning”. Later, on the advice of ‘Abd as-Salam, he left Morocco to go into retreat in a cave near a village of Ifriqiya called Shadhila. Although Shadhuli sounds like Shadhila, our shaykh Abu-l-Hasan received his name from Allah the blessed who told him in a vision, "O ‘Ali, you are ash-Shâdhdhu-lî, meaning one who is set apart (shâdhdhu) for Me (lî)". The final words of Ibn Mashish to Abu-l-Hasan, may Allah hallow their secrets, were, “O ‘Ali, Know that Allah is Allah and people are people. The remembrance of Allah will live in your heart. The guidance of Allah will always be with you. Do not refer to people other than as Allah commands you. Refrain from dependence on them and keep your heart from inclining to them. Your spiritual sovereignty (wilaya) has been perfected by Allah”. In Ifriqiya, he periodically went out on preaching and teaching tours, thereby incurring the hostility of the Tunisian ‘ulama. So bitter did the persecution become that, in spite of the support of the sultan, Abu Zakariyya al-Hafsi, he was driven to take refuge in Egypt where he spent most of his years and won great renown. Abu-l-Hasan made a practice of going on hajj every year. He was told in 656/1258 that he would die while on hajj. Abu-l-Hasan had idea that he may die on during pilgrimage, going as far as order a shovel and shroud be packed as he and his followers were preparing to leave. When they reached the midway point, which is a well in a place called Humaythirah, he spoke to all his students and gave them the reading of Hizb ul-Bahr (The Litany of the Sea) saying, “Teach it to your children for in it is the greatest name of Allah”. 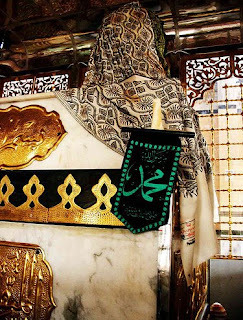 He talked in private with Abu-l-‘Abbas al-Mursi and told all of his students, “When I am dead look to Abu-l-‘Abbas for he is the khalifa to succeed me”. 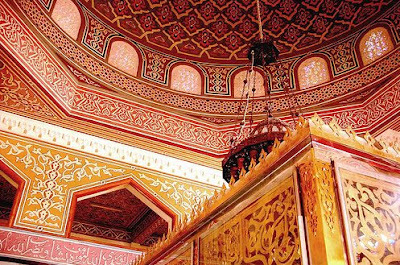 That evening, Abu-l-Hasan asked one of his murids to bring him a jug of water from the well. The student said, “Sidi, it is salty”. Abu-l-Hasan said, “My intention is other than what you think". So the murid brought him a jug of water from the well. Abu-l-Hasan drank some, rinsed his mouth and then spat into the jug, saying, “Put it back in the well”. He put the water back and it turned sweet, fresh and abundant. To this day the water in that well is sweet. Abu-l-Hasan spent that whole night in dhikr. Many of students heard him, and at fajr, he was still. Thinking he was asleep one of the students shook him, finding him dead. From there he was washed, wrapped in the shroud, prayed over and buried in Humaythirah. His murids continued on hajj. The existence of a Shadhuli tariqa is mainly due to Abu-l-‘Abbas al-Mursi, the successor of Abu-l-Hasan ash-Shadhuli and his successor, Taj ad-din ibn ‘Ata Allah al-Iskandari, may Allah hallow their secrets & perfume their tombs. # Murabitun, this order was established in West by Shaykh Abdalqadir al-Murabit See The Recovery of True Islamic Fiqh: An introduction to the work of Shaykh Abdalqadir as-Sufi by the Muslim scholar Abdalhaqq Bewley. This is a branch of the Shadhili-Darqawi order. At other times it has been known as the Darqawi and Habibiya orders. # One offshoot of the Murabitun is the al-Haydariya al-Shadhiliyah, headed by Shaykh Fadhlalla Haeri. He is represented in the U.S. by Hajj Mustafa Ali, an American convert to Islam. # 'Alawiya Order, deriving from Shaykh al-'Alawi. Shaykh al-'Alawi's current fame in the West derives largely from Martin Lings' book, A Sufi Saint of the Twentieth Century. 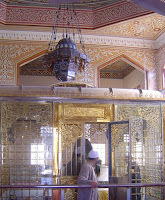 There are at least four distinct branches of this order in the West today (each of which has its own characteristics): 1) The website of Sidi Ahmed Ibn Mustafa al-'Alawi (known as Shaykh al-'Alawi) is maintained by a disciple of the Algerian shaykh, Sidi Ash-Shaikh al-Mouloud Boudai; 2) Another branch has among its shaykhs an American convert to Islam, Nuh Keller, who, although he is based in Jordan, has a number of disciples in the West 3) The third branch is that of the 'Alawiya Maryamiyyah, founded by Frithjof Schuon 4) The fourth branch is connected to an Algerian shaykh known as Sidi 'Alawi who in the West has a number of disciples, in particular, in Switzerland and the US. # Shadhiliyya Sufi Center of North American and whose books are published by Sidi Muhammad Press, established in the U.S. by Sidi Shaykh Muhammad al-Jamal from Jerusalem (al-Quds).
. Photo Credit: the tomb of the founder Abu Hasan As-Shadhilli, Abu Hasan, Egypt 140 km from Marsa Alam, Red Sea. via flickr. Also Makam photos.